icebreather106 wrote: IT IS WATER!!!!!!!!!!!!!!!!!!!!! Does including Randall Flagg in the discussion mean their next sandcastle will be the Dark Tower? 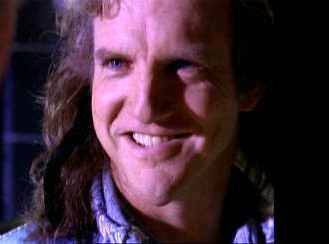 Whizbang wrote: Also, in honor of the flag being placed in the (presumed) original castle, I hereby name this day Randall Flagg Day. I think I'm gonna need more caffeine. I can't have seen this correctly. Of course you didn't see it correctly. All *ahem* Readers-of-the-Book know you can't quite see his face properly. If we just call him "Randy Flagg" then we can go full circle back to beach bumping. Nooo this thread cannot involve anyone chasing Randall Flagg. Or it will all definitely come full circle. "The Man in Black fled across the desert..."
I'm just disappointed we don't have more young'uns strolling in asking who the hell that is. Anybody else prepping for another zoom-out? Maybe to an island? dp2 wrote: Wanting to swim does not mean they're on a beach. I'm in an office building with no water in sight, and it's 45° outside, but I still want to swim. I'm going to point out why this is an invalid argument, even though it is clear as day that they are on a beach and that people who insist otherwise are just being needlessly argumentative. It's not just wanting to swim, but someone else asking you. You are in an office, so if another person came and asked you if you want to go for a swim, as happened in the comic, would make no sense whatsoever. Or maybe not... They may be unpleasantly surprised... in a newpix or two. Perhaps it's oobleck? That could get...weird. Or else what? They go swimming like they wanted? You've never tried swimming in oobleck, have you? TO THE WHAT-IF! Who better to examine this? The Creator's instructions still read "Wait for it." I will wait. belliott4488 wrote: How come no one has pointed out that Cueball is walking on the "water"?! It's ice!! The snow fanatics were right!!!!! maybe it's just water and it isn't deep (yet). Expecting a zoom-out over the afternoon? We don't know that my shark prediction didn't happen between frames. GingerMuffin wrote: Is it over...? So. It has come to this. Gotta keep posting the new frames! Envelope Generator wrote: So. It has come to this. It has nothing to do with being arguementative and more to do with challenging assumptions. This is a thread full of them many of them shattered as quick as they appeared. We have limited information due to the medium and the presentation. It is true it is clear that they are near a body of liquid. Your analysis of dialog with context is correct, but not much else can really be assumed. Can we add this to the summary? I have come from 1982 to say this - "Doesn't it always come to this?" You'd have to ask someone from the future.... well pretty much forever. There is no "over". Only Time, unending. I see sub-pixel analysis in our near futures. I think they're drowning and that this was just a very roundabout way to make a point about not going swimming in isolated places where nobody can hear you scream (like space). matthewglen wrote: This entire comic has been a wonderful, peaceful, engaging experience. 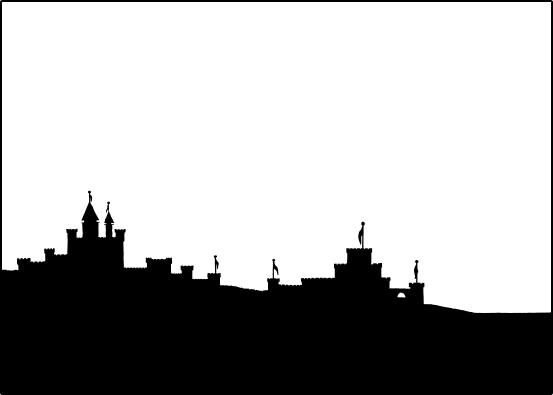 Every time I go through the images on aubronwood's site, I end up smiling at frame #105, when he puts his hands up to his mouth like he's saying "oops" after falling down the side of the castle. But man, with this newest frame, I got legitimately excited at the prospect of seeing them go for a swim. I really hope Randall keeps this comic going for a while, I'm really enjoying it. Also been lurking since Monday and, after reading your post, couldn't help but comment. I've been so obsessed with this thread & these frames (and the Book of Aubron) since the Debut of What period, 1NP. As hilarious as I find the Civilization, new measurement of Time, period-creation a la comic 915 and the new religion (yes, I even changed my FB, too)... I smile every single time I go through the images. Especially when it hits #105. I hope this comic goes on for a VERY long time. Just have to check nextpic and see if the hash filename changed i guess. They are on a beach. That is one of the very, very few facts that is actually apparent just from looking at the frame. Yes, there have been countless dumb-as-hell assumptions put forth. That building sand castles and swimming means they are on a beach is not one of those dumb-as-hell assumptions. Lumping that inference in the same category as "they must be pregnant and have had a miscarriage!" or whichever of the actually absurd assumptions you have in mind is yet another dumb-as-hell assumption. Keep thinking they're swimming in a lake of coffee surrounded by snow if that's what you want, but I promise you that you are wrong. Wait for it, and you'll see. Last edited by blowfishhootie on Thu Mar 28, 2013 5:38 pm UTC, edited 1 time in total. Zindaras wrote: I think they're drowning and that this was just a very roundabout way to make a point about not going swimming in isolated places where nobody can hear you scream (like space). I'm gonna have to agree. This is probably either reaching the end, nearing another zoomout, or both. I think Randall just wishes it was summer. The level horizontal surface they are stepping onto has been remarkably level for lo these many newpices, too level for even a lake. Custard, maybe...but they'd have to hit that oobleck running. I bet it's simply pavement, and there's a diving board and pool off to the right. Aand...they just disappeared. Hmm. HAL9000 wrote: This is probably either reaching the end, nearing another zoomout, or both. Or this is one slow reveal, culminating in...something?...on April 1. As has been mentioned previously. *** wrote: I think Randall just wishes it was summer. The day is also less than half over. I go away (because an Outsider is my boss) for just over 3 newpix and miss the start of a new period. Typical. Is anyone else settling in for a slow pan followed by slow miles of swimming?